06/23/2013 - I attended athe 4th annual Cops and Cruiser car show. 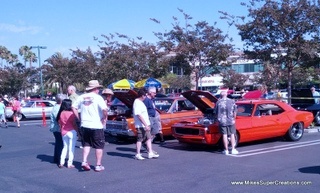 There were 143 cars in attendance - a nice turn out for a small show. Weather was a great sunny high 70s day. 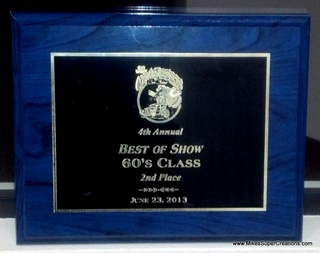 I attended with the 1967 FireMaro - and was fortunate enough to take home a 2nd place in the 60s Class. Check out the images below of the show. The show was in benefit of the Simi Valley Police Explorer Post. The Explorer Post offers individuals 14 to 20 years of age an opportunity to learn about law enforcement. Explorers complete modified police academy training, assist officers in various tasks, and participate in ride-alongs with Patrol Officers.